Last summer we saw Woody Allen's Midnight in Paris. I can't imagine any enthusiast of literature not loving this film. Especially when Ernest Hemmingway, Gertrude Stein and F. Scott Fitzgerald made their clever appearances. 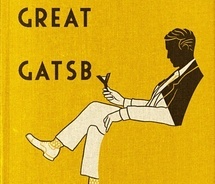 Anyway, the film reminded me that a long time ago I had read The Great Gatsby. And loved it. I was really young (high school age), so I searched my memory bank. Why had I loved it? Barely remembering the plot or the characters, the depiction of life in New York York City in the 20's is what resounded with me. Maybe, just maybe I needed to read the novel again to make sure my youthful self had painted the picture F. Scott really had in mind. What better excuse to read? Said task is complete. The verdict? Still love it. And amazingly, the images of "West Egg and East Egg" in Long Island are still just as vivid as when I read them over twenty years ago. The plot had been pretty much lost in my memory completely. So that was fun for me - like reading a whole new book. I was most amused by each of the personalities' flirtatious relationship with the glamorous eastern metropolitan of NYC, even though these characters were actually common Midwesterners, like me. (Okay, maybe a little less common than me.) 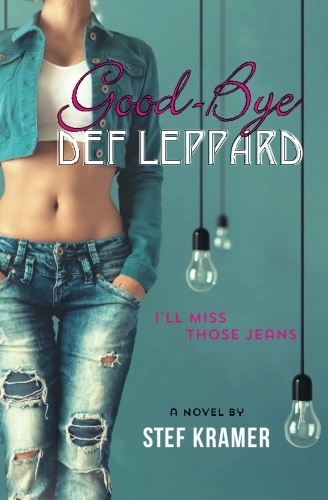 Of course this book is chock full of symbols and metaphors dealing with the age-old of topics of love, greed and calling - all great fodder for book club discussion and high school language arts class. But I want to discuss what really makes me love this book... the lyricism. The voice. I can pick up my paperback classic, flip to any page and start reading. "Flushed with his impassioned gibberish, he saw himself standing alone on the last barrier of civilization." I'm an aspiring author - one of my favorite ways to study writing is reading from the best - and finding a sentence like this and pondering it for awhile. I do wonder how a mint julep tastes...probably best not to know. Best to let those Roaring 20's cats drink their drinks. I'll just sit here and imagine.